The atmosphere of South Dakota School of Mines & Technology is one of extreme talent, innovation, and the know-how to develop ideas into global powerhouses, like B9Creations. 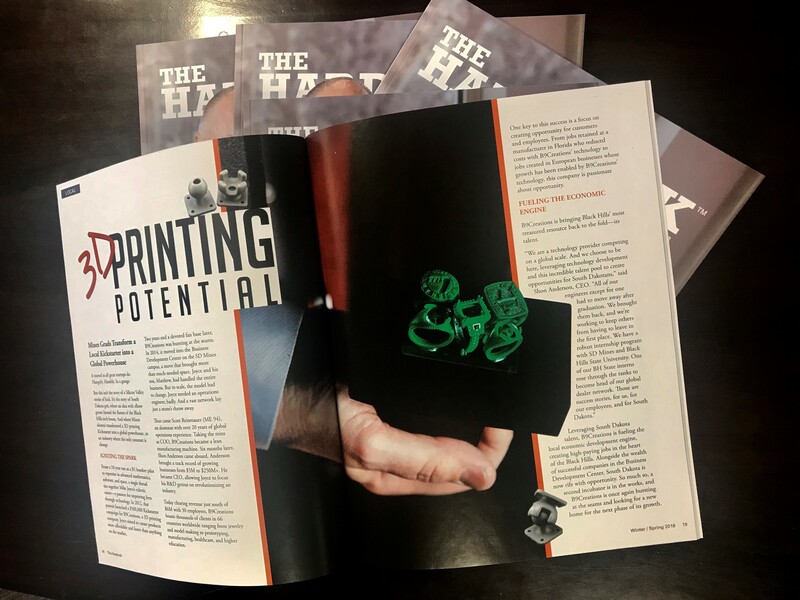 The Hardrock Alumni Magazine features B9Creations' success in an article of their Winter/Spring 2018 Edition. Download the magazine and read more about the work of our very own local talent and SDSM&T grads.